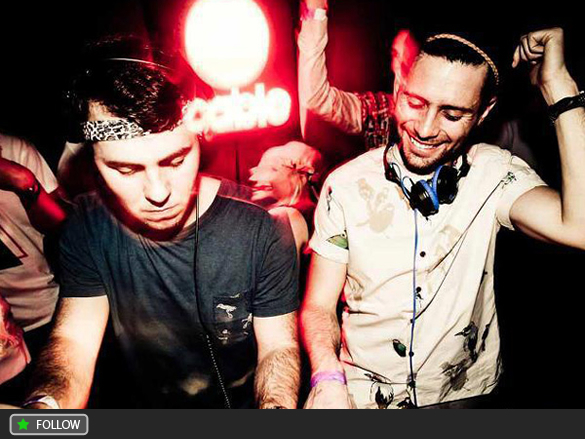 DJ Duo No Artificial Colours are the dominant force in the UK’s house music scene; with their music consistently riding high in the Deep House charts they are receiving love from their peers and the industry alike. Never one to follow the crowd, No Artificial Colours have chosen an interesting mixture of UK and international labels to release their music on, all of which have gained attention from the likes of Jamie Jones, Maya Jane Coles, Lee Foss, Visionquest on the DJ side and from top outlets like Clash magazine, I-D mag, Mixmag, the list goes on. No Artificial Colours are Ryan Ellis and Lewis Wright, 2 friends hailing from South East London; the boys met when they kept finding themselves booked at the same gigs, and when they often got asked by promoters if they could play back-to-back, the pairing made perfect sense. Since meeting every day has been about music for them, playing it, searching it out and making it. Their sound is evolving all the time with their sets becoming more about their own music than other peoples and often favouring a deep underlying, hypnotic vibe with various acapellas, loops and tricks to keep things exciting. Their first EP only dropped in late spring 2011 and since then they have played numerous top clubs in the UK and Europe with some amazing things in the pipeline for 2012 – including A&R’ing for their own label – SinQ Records.